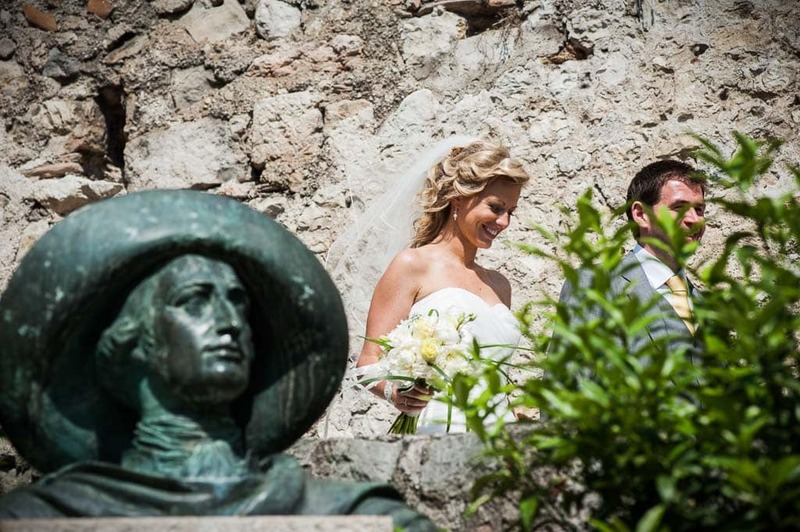 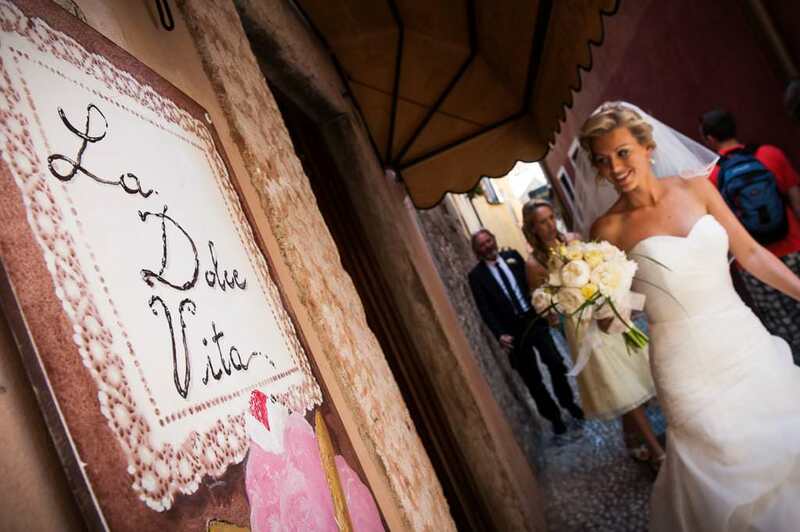 Lisa and Robert chose the wonderful town of Sirmione and Malcesine as the perfect places to celebrate their Wedding in Italy. 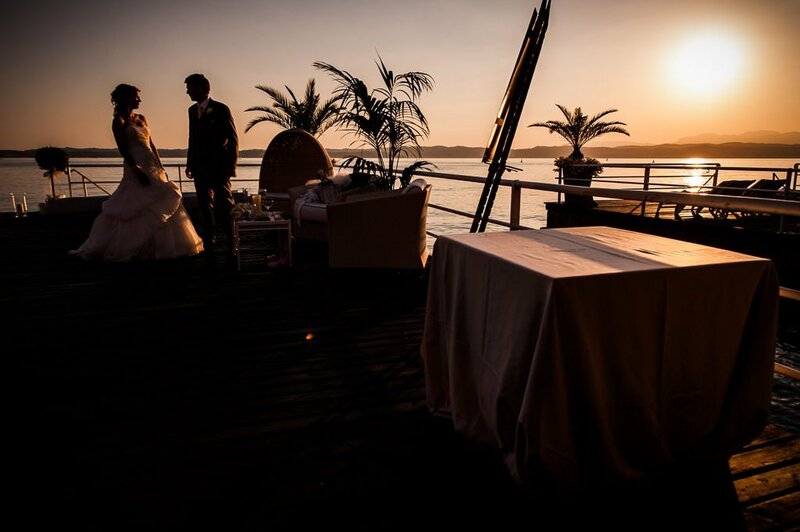 The couple, along with their families and friends, was located in the beautiful Hotel Continental, where they could enjoy a beautiful view of the lake. 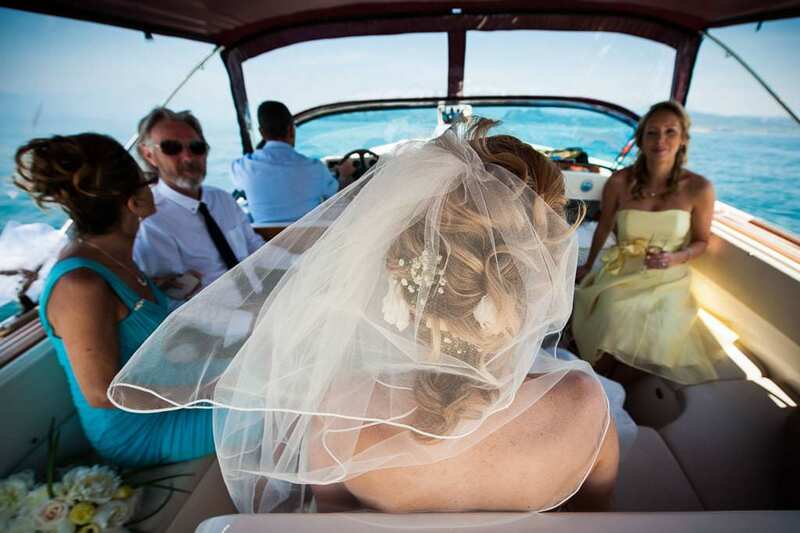 Robert was ready for marriage with his testimony, and then took the boat with guests to reach the beautiful city of Malcesine. 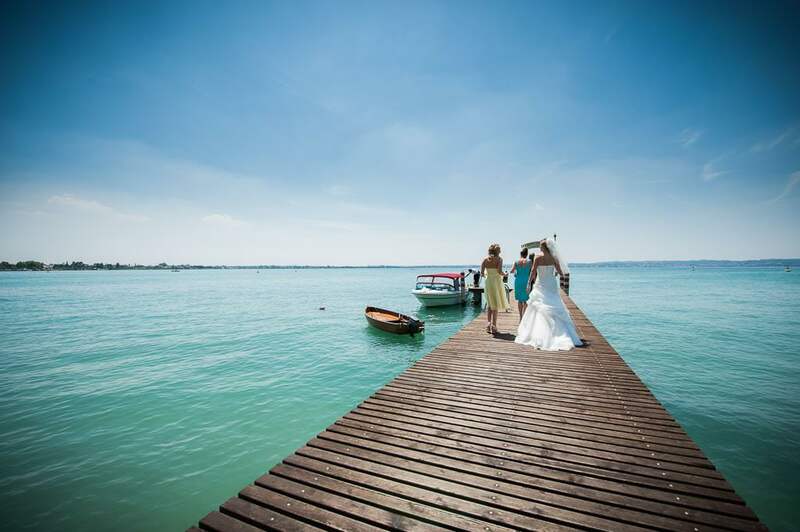 That place is on the opposite side of the lake, where everyone was waiting for Lisa and her family to come. 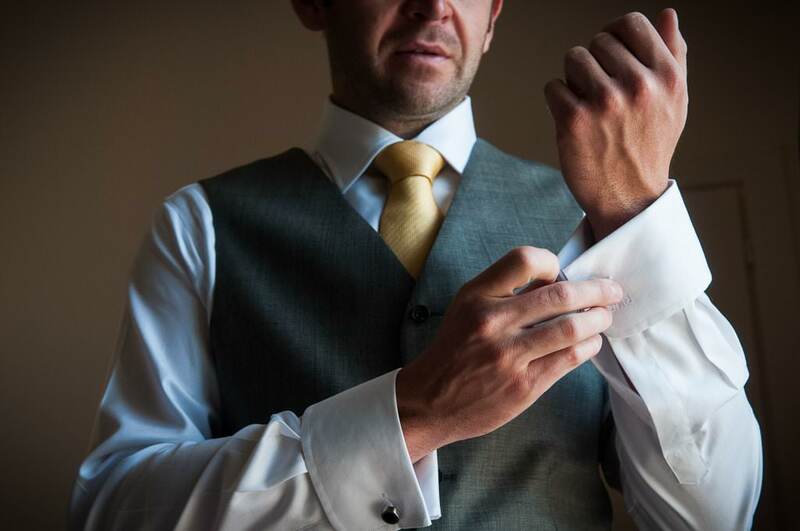 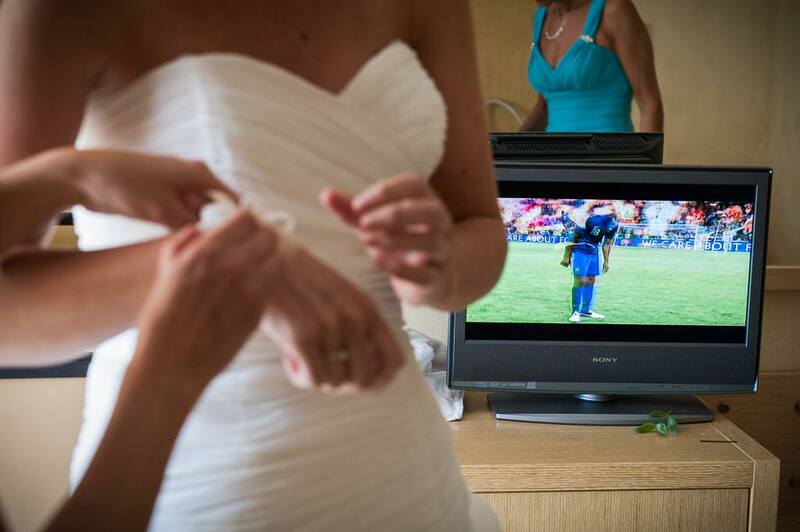 The bride wore her dress accompanied by friends and relatives, while the television you could see the football game of the European Championship. 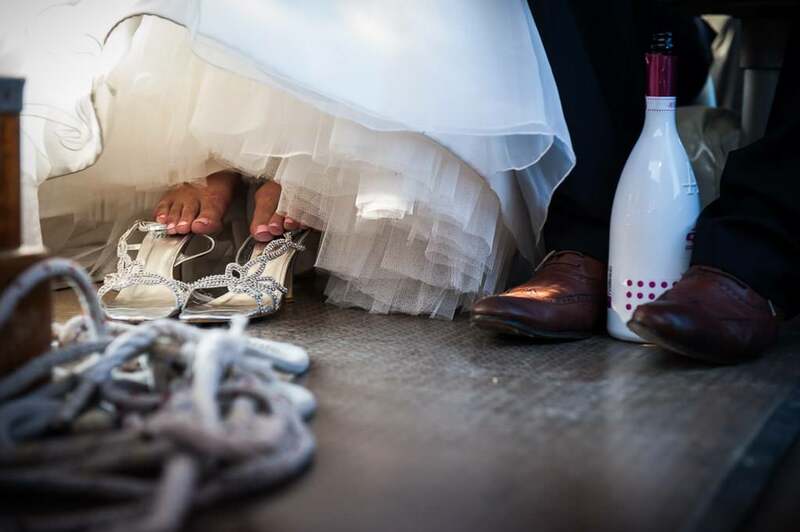 It was visible that Lisa could not wait to become Mrs. Bull: it was written on her garter, too! 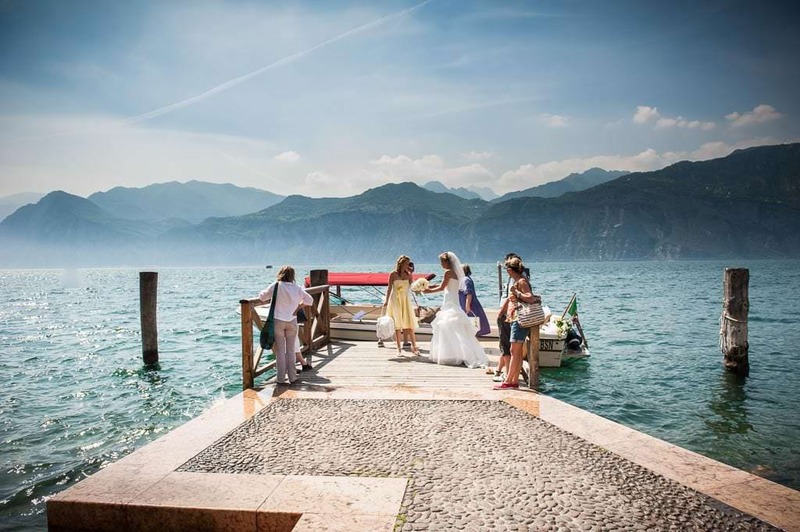 After preparing, Lisa, her friends and family, walked along the Hotel’s private walkway to reach a luxury water taxi waiting for them, ready to take them to the beautiful Malcesine. 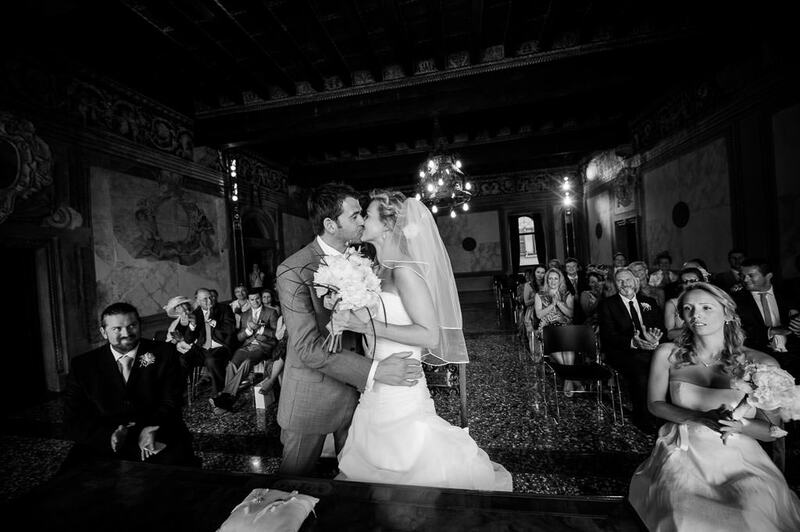 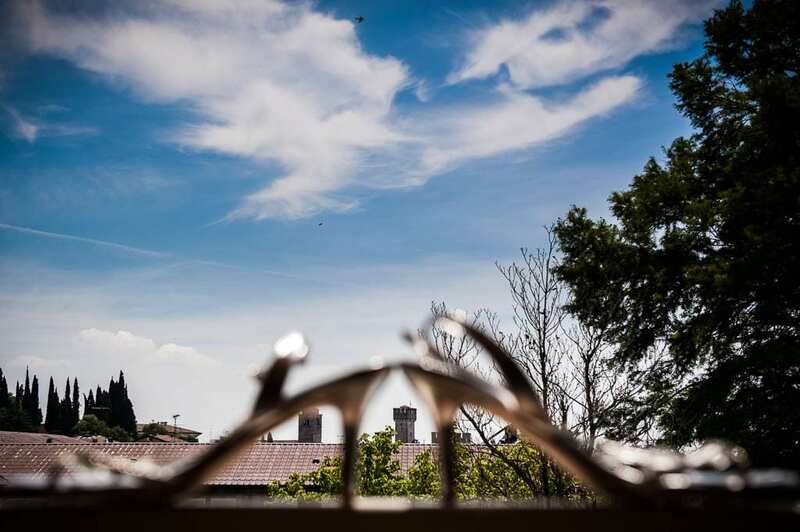 The civil ceremony was organized in the wonderful Palazzo dei Capitani, along the lake, an ancient palace built in the fourteenth century by the Scala on some Roman ruins, which was declared a national monument in 1902. 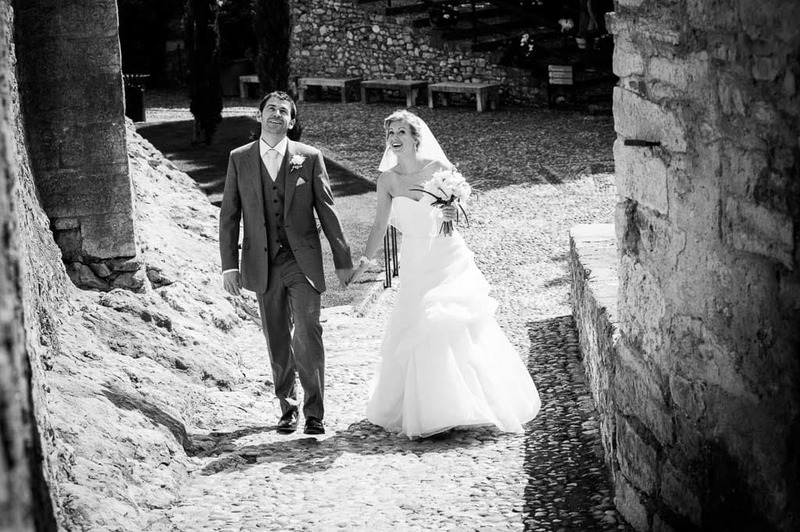 On the streets of the city, Lisa and her family joined the ceremony venue, where all guests were exciting waiting for them to arrive. 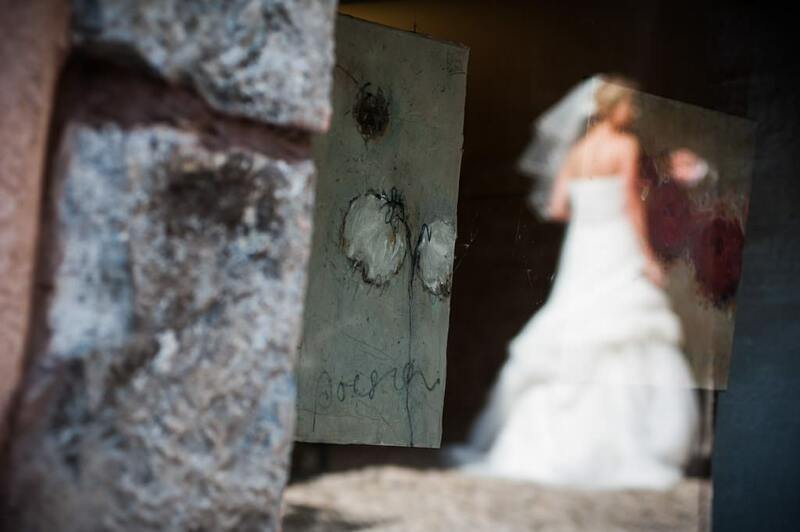 She entered the room with her father. 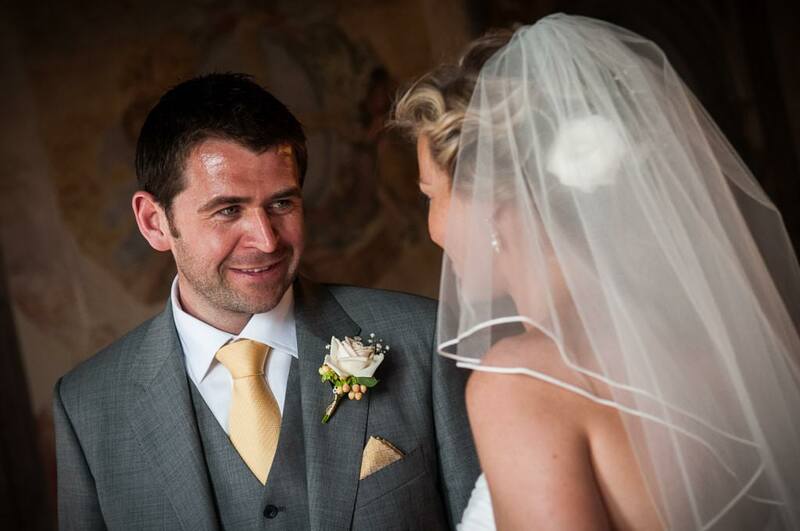 The bride swapped her rings and promises with Robert: all guests gave the blessing. 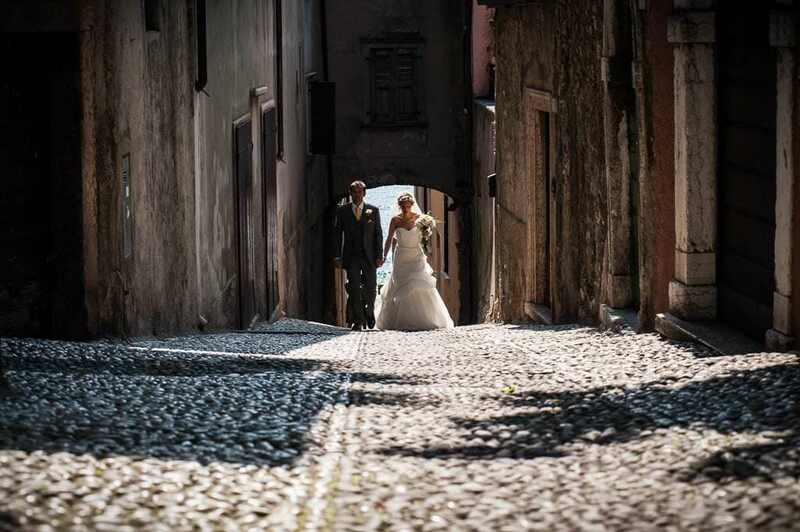 After the wedding, the couple photo service proceeded along the streets and in the castle of Malcesine, where they could enjoy a breathtaking view of Garda Lake. 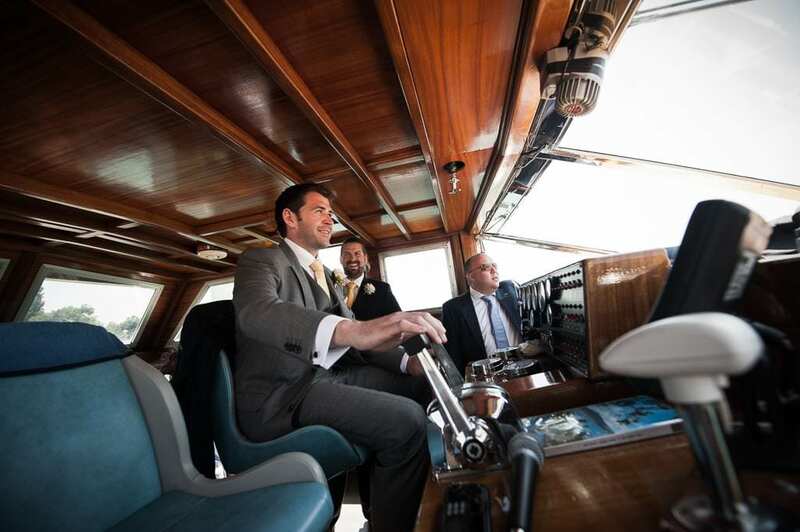 Meanwhile, guests were back by boat to Sirmione, and waited for the newlyweds in beautiful Lords Restaurant. 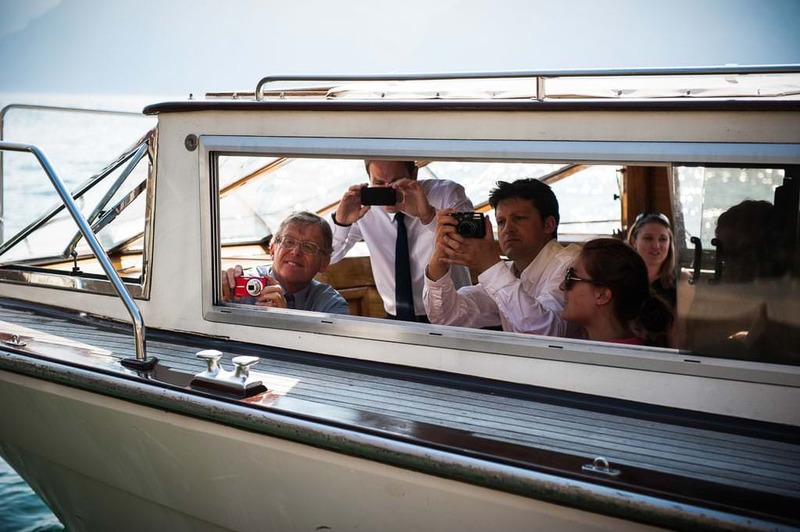 Lisa and Robert, crossed the lake by boat, came at the hotel later. 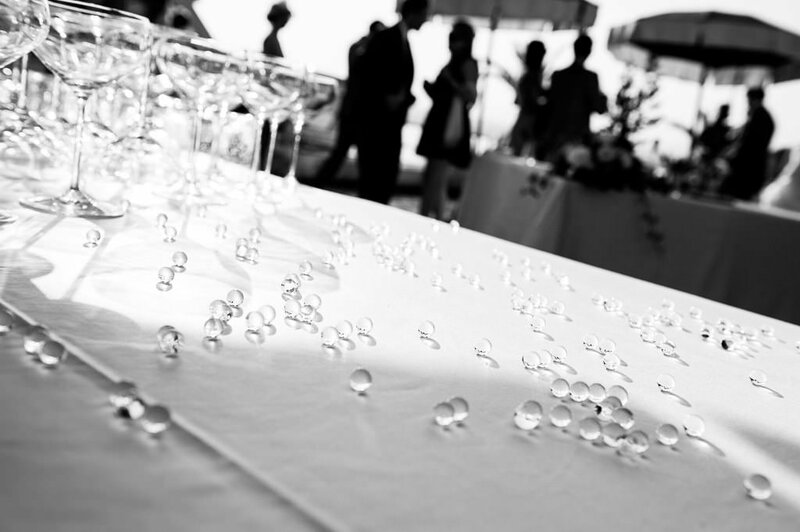 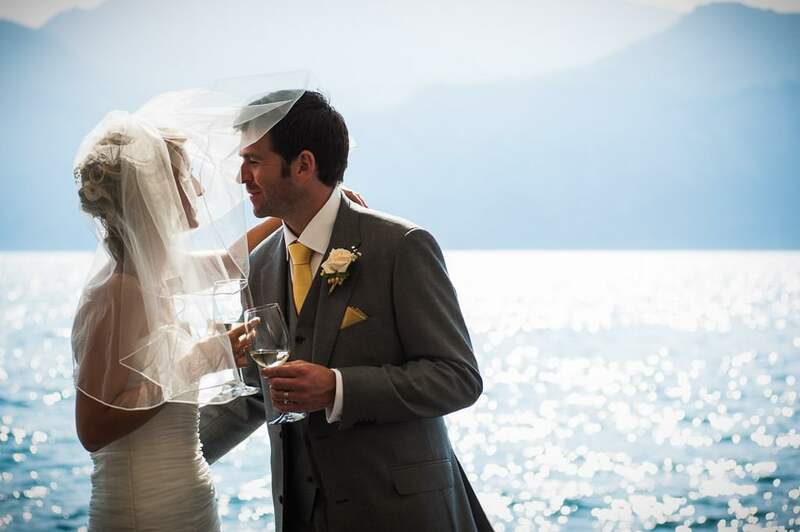 Once there, they began the celebration with an aperitif and then dinner, watching the unforgettable sunset on Lake Garda.